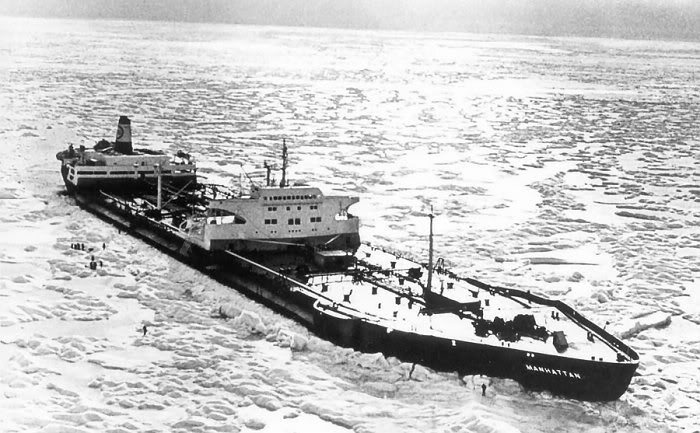 "Manhattan", during her polar voyage. 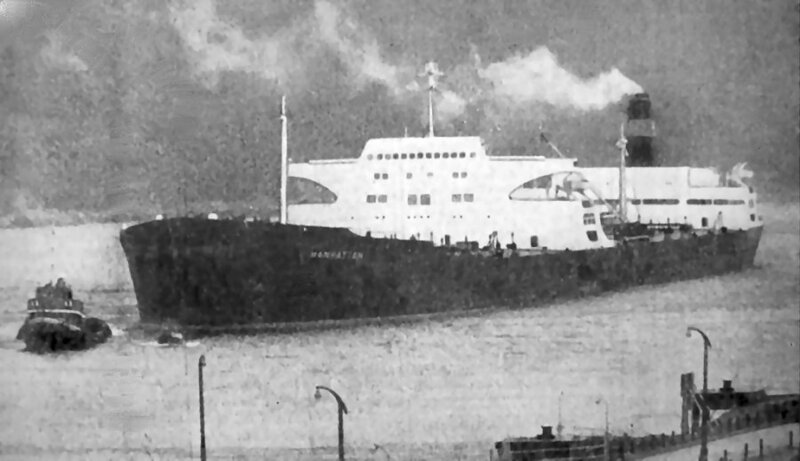 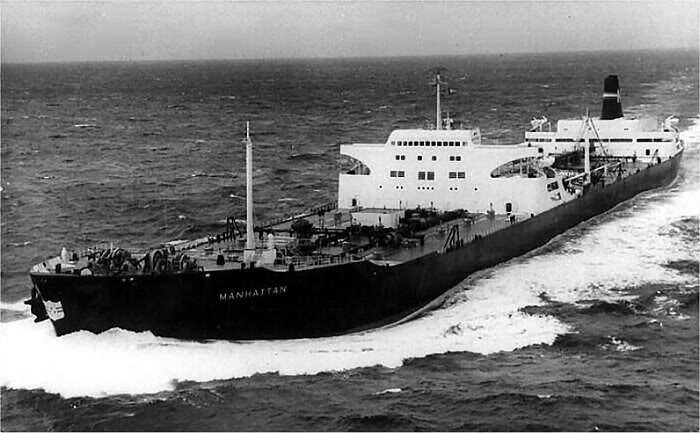 US flagged tanker arriving at the Finnart oil terminal with at that time, the largest oil cargo over 80-90000tons approx. 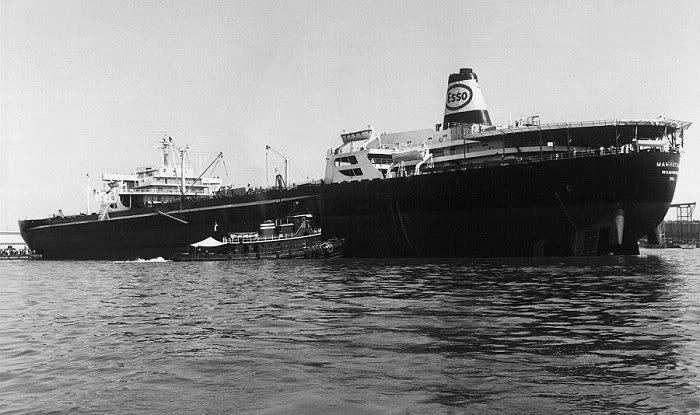 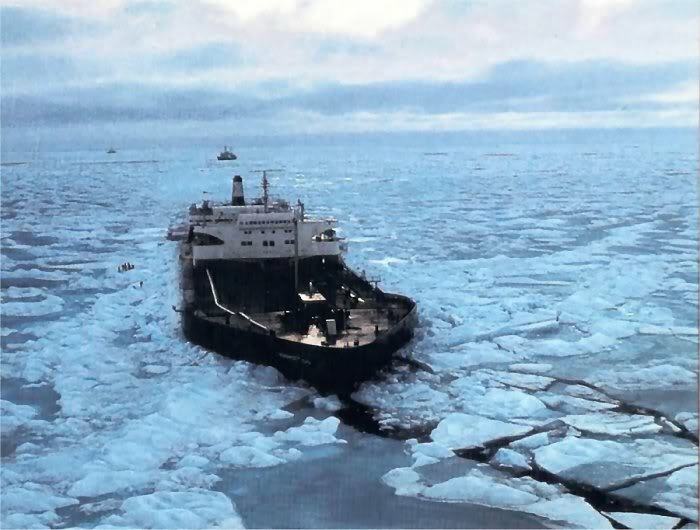 She was built at Quincy in 1962 and later received a new icebreaker bow forward section. 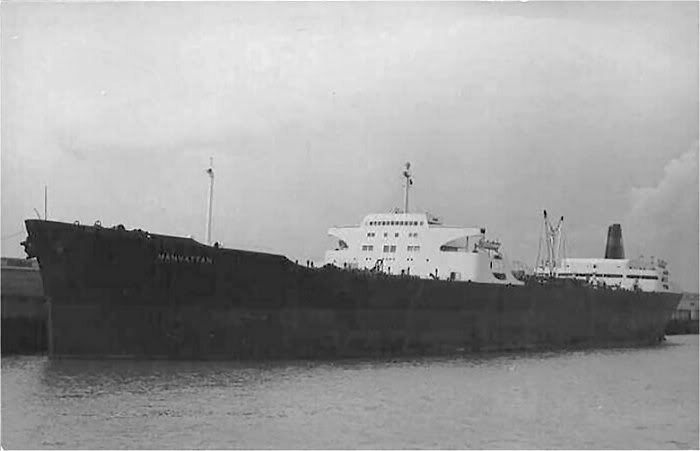 She was scrapped in September 1987 following a grounding.